I suspect that I may get overenthusiastic with posts about Japan – I saw so many fabulous things. So, for the faint-hearted amongst you, here is a brief overview of my trip to Japan: two weeks with two friends and a mission to see as much of the country as possible. I loved the outdoor spaces in Tokyo – especially the Imperial Palace Gardens and Shinjuku Gyeon. I managed to find some early cherry blossom which was very exciting and I followed the example of the locals and took lots of pictures. We visited a few shopping areas (Ginza, Roppongi Hills and Tokyo Midtown) but by far my favorite was Harajuku with the fascinating alleys of Ura-Hara and the bedlam of Takeshita-dori. And to make the best of a particularly rainy day we went to Tokyo Skytree to visit the aquarium and we were lucky enough to time it to see penguin feeding time. So cute! 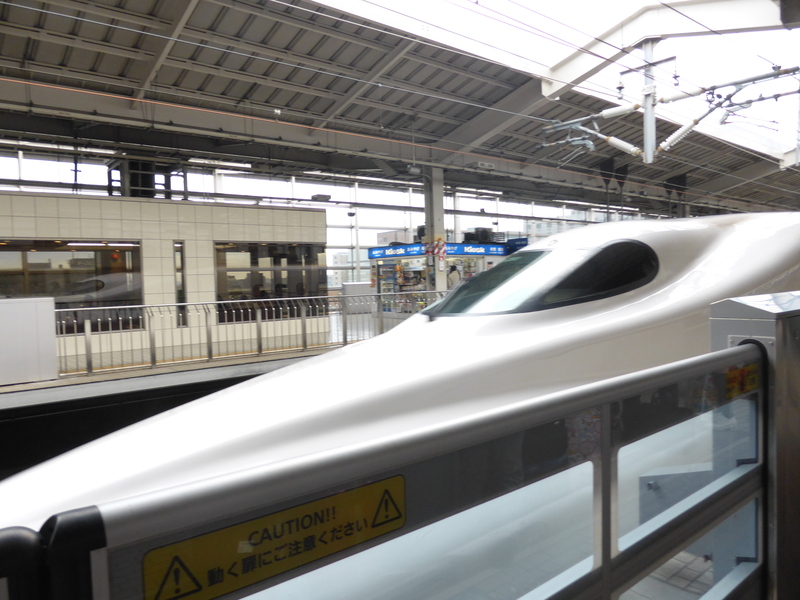 I’ve always wanted to travel by bullet train and it was great to finally get the chance. I suspect however that bullet trains travel so quickly that they cause time shifts. The journey from Tokyo to Osaka allegedly took two-and-a-half hours but it did not feel anything like that long, hence my time-vortex hypothesis. 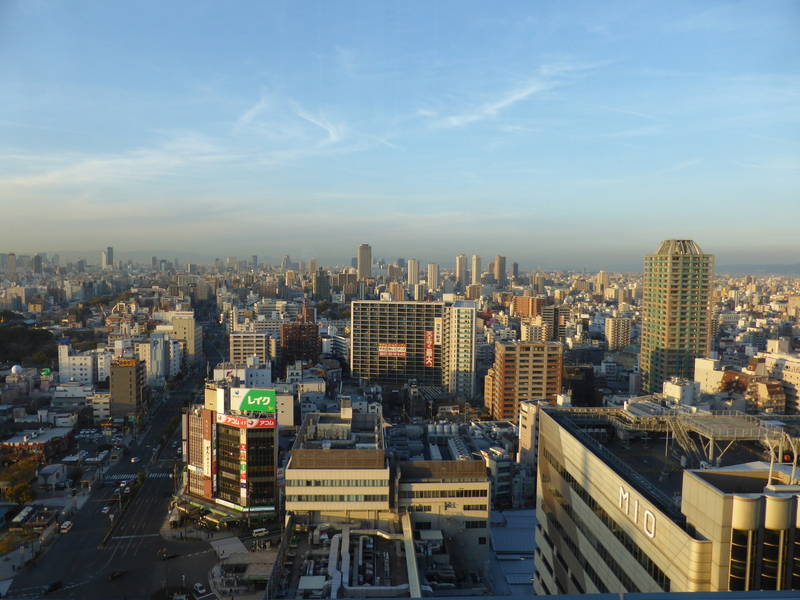 I loved Osaka from the moment I arrived. It felt friendly. Wandering down dark alleys led to great restaurants, wandering round sun-drenched temple complexes led to sunburn and heading up to Abeno Harukas led to great city views. 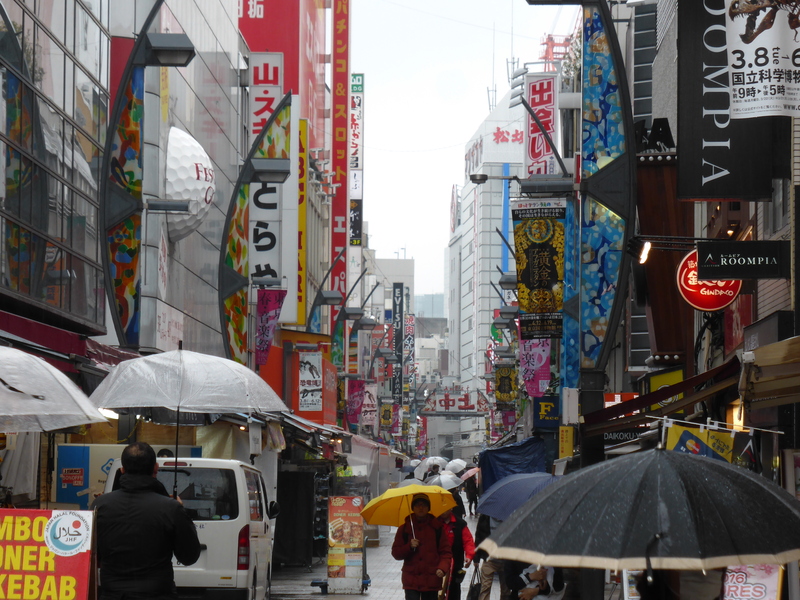 I walked the length of the longest shopping street in Japan, went wild in 100¥ shops and ate Kobe beef. And we visited Universal Studios Japan. Yes, I think I have a lot to tell you about Osaka. There are some beautiful sights in Kyoto, we totally did the tourist thing. 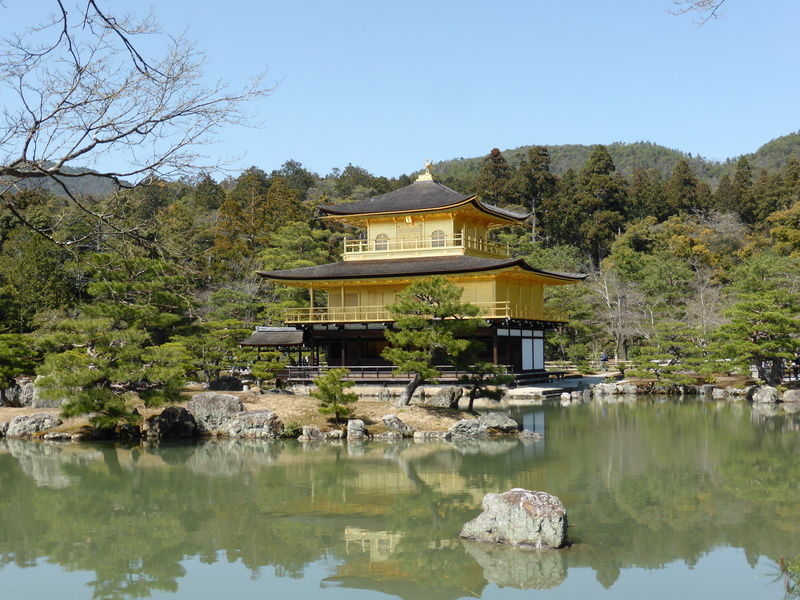 We saw Kinkaku-ji (Golden Pavilion), the Fushimi Inari-taisha shine, Nijo Castle, Kyoto Imperial Palace Park, Kyoto Botanical Gardens and the Arashiyama Bamboo Grove. I didn’t get Kyoto the way I loved Osaka but I saw some things that took my breath away. We visited Nara on the recommendation of a friend and it was so worth it. 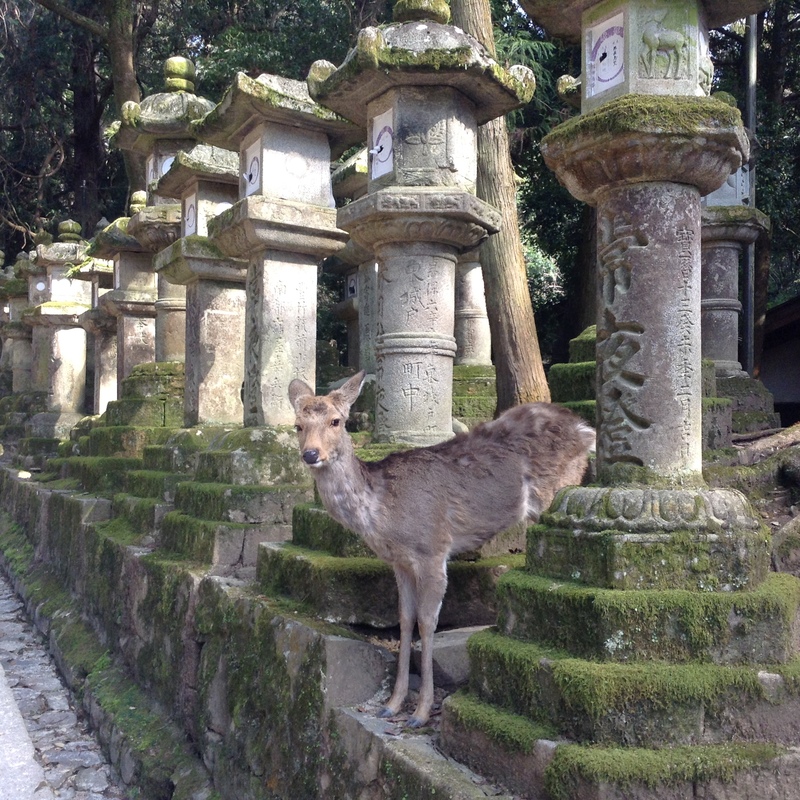 We spent the day strolling round the Nara-koen Park, saw the Great Buddha and temples and shrines and gardens and deer. There were a lot of deer and apparently they like eating leaflets. At least it wasn’t the map! Final stop was back to Tokyo and Disneyland! I’m now up to three worldwide Disney parks and it just makes me more enthusiastic to complete the set. 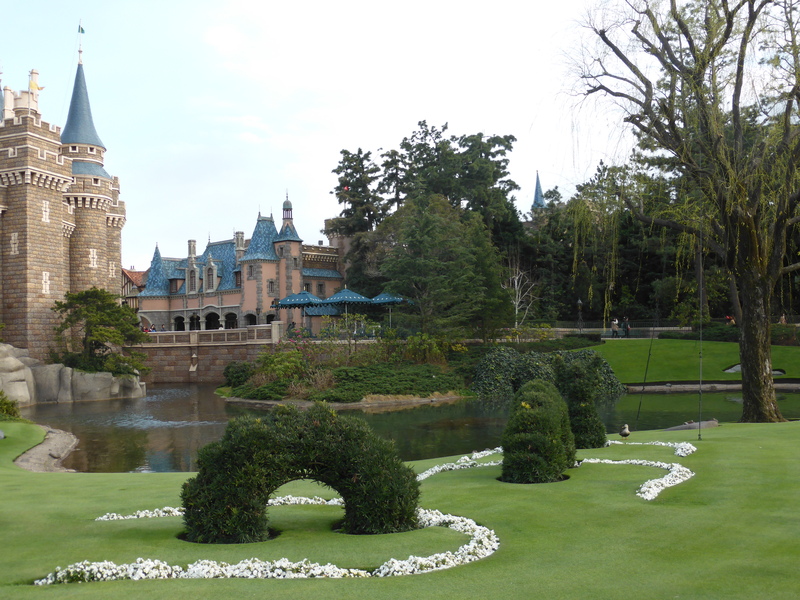 Tokyo Disneyland had rides that don’t exist anywhere else and I loved them! I better not start talking about the food because then this would not be the brief post I intended. 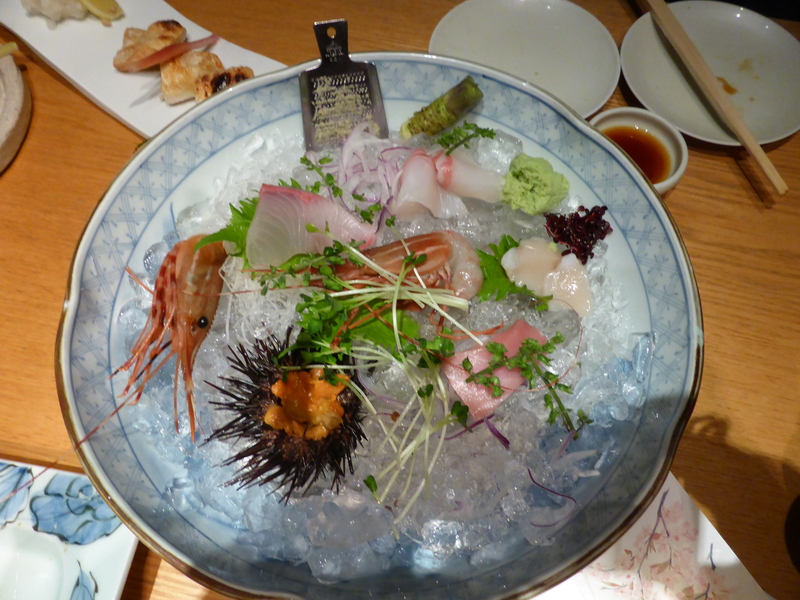 Needless to say there was sushi and sashimi, tempura and kakiage, udon and rice. Everything was delicious and beautifully presented. Go to Japan. Just for the food. I’m not joking. I’ve probably missed mentioning a whole load of things but you’ve probably figured out that I had an amazing time in Japan. I’m glad I picked it as my first destination in Asia. It did turn into a bit of a temple tour but they were worth visiting. I saw cherry blossom which was one of my top hopes for the trip. I got to be a train geek and a theme park geek. And everything went smoothly, I love Japanese efficiency. Everyone I met was so helpful even though communication was a challenge (my knowledge of Japanese only stretches to about five words). I will be going back to Japan but next time I plan to do things much more slowly and be less of a tourist. There is so much more to see.